Objective : The three years Distance Learning Bachelor of Science (B.Sc.) 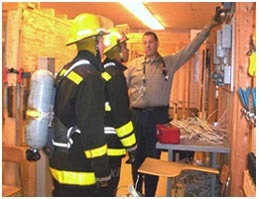 in Fire Science conducted by The Global Open University, Nagaland has been designed for meeting the demand of the growing needs of experts in the fields of fire safety, rescue services, hazardous materials management, emergency planning, fire investigation, casualities safe guarding. Award : Bachelor of Science (B.Sc.) in Fire Science shall be awarded to all the successful candidates by The Global Open University, Nagaland..
Award : Bachelor of Science (B.Sc.) Degree in Industrial Drug Science shall be awarded to all the successful candidates by The Global Open University.